Another instalment of my 'Meet the Blogger' series and as excited as ever to introduce to you all another fab blogger! If you're a little unsure on what this series is all about you can catch up HERE. 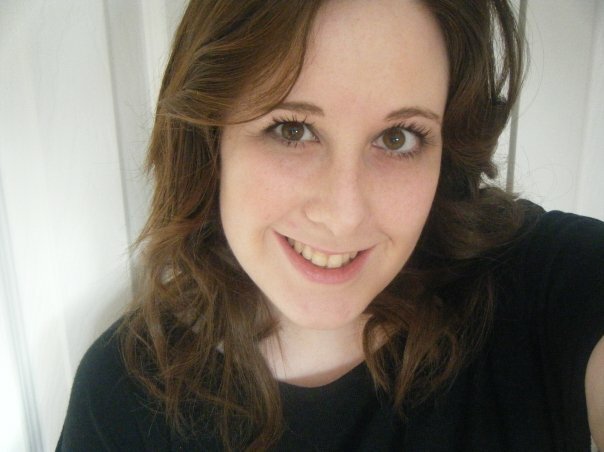 "Hi, I'm Holly and I blog at Impatience is a Virtue. I'm a beauty and lifestyle blogger from the south coast of the UK. On my blog you can expect to find, product reviews, hauls, a lot of make up and the odd bit of baking!" I remember reading a few blogs and thinking "I could do that!" I love how blogging is a place to share things with other like minded people. It's been a great journey so far, I have been fortunate enough to work with some lovely brands and meet lots of amazing people! A good lipgloss! I'm carrying around L'Oreals Glam Shine Stain in Milady at the moment. I wouldn't say I particularly have a sense of style! lol. I work in a hospital lab so my "style" mostly consists of me working in a lab coat, but when I'm out I do like to dress up. I would love to be able to pull off a quirky style like Zooey Deschanel. Make up wise, I love Blake Lively, she looks flawless all the time. I love Sprinkle Of Glitter, she has a beautifully designed blog, amazing photos and sounds really down to earth. I would love my blog to be as successful as hers one day! Definitely Bed in the Kitchen and Becca's Fashion and Life, I met these two lovely ladies through blogging and they don't live that far away from me so we are able to meet up regularly. Their blogs are obviously great too! I Love MAC, I love their classic black packaging, affordability, range of colours and their collaborations with celebrities like Rhianna and The Osbourne's. I currently only have three MAC lipsticks but am aiming to build my collection soon! 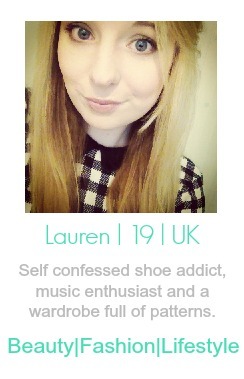 Topshop is my favourite clothing brand and they're both high street and online! The majority of my clothes come from there. I also love Primark, mostly for the socks - I have so many socks! I've learnt so many little tips since starting blogging but the one I remember the most is make your photos as big as possible! A picture is worth 1000 words so make sure you use them! Before having my hair styled for my wedding, my hairdresser told me not to wash it the day before. Weirdly, it actually styles better if it isn't freshly washed. I've taken her advice if I fancy curling my dead straight locks and it works really well. I love setting little goals for my blog as I don't want to set my sights too high and then be disappointed. I was over the moon when I reached 100 followers then made it to 500 and I would love to reach 1000 followers this year. I would like to keep doing what I'm doing and hope that my blog continues to grow. Make sure you check out the lovely Holly's blog!